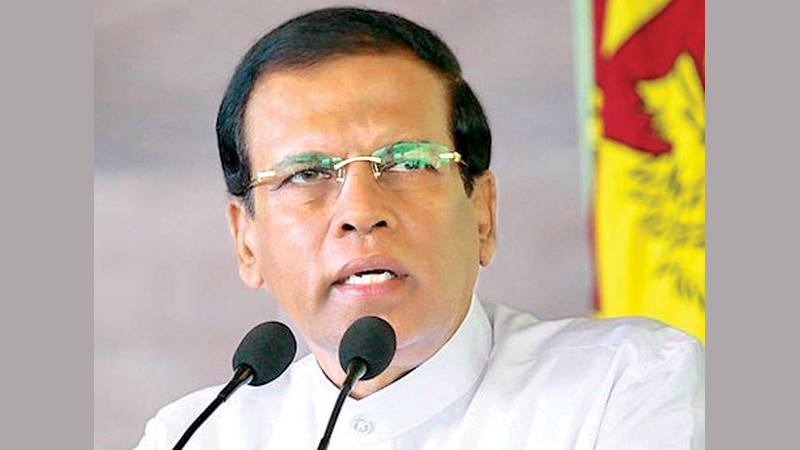 The Police Department will be subject to significant changes to transform it into a more efficient force that gains the respect of the public, President Maithripala Sirisena said. Joining the Committee stage debate in parliament yesterday when the expenditure heads of the Defence and Mahaweli Development Ministries were taken up, he said there are around 85,000 personnel in the Police force including the STF. “The Police, STF and Drug Prevention units have done a commendable service in combatting the drug issue in this country. However, we don’t have the required technical equipment for the detection of drugs. Drugs were found in the country in 1983. Had successive governments invested in these high tech equipment the drug scourge would not have spread so rampantly,”he said. The President said that the government had taken measures to purchase high tech drug detection equipment. “Such large quantities of drugs have been caught by our officers without any high tech detection equipment. In countries which possess high tech drug detecting equipment, they don’t face a serious challenge in apprehending these drug rings. On the contrary, we carry out these raids and make these huge drug busts with the same old weapons that we possess based on the intelligence and knowledge of our officers.Therefore, we should commend the services of the Police, STF, Drug Prevention Units and the Customs for their laudable service,” he added. Having taken over the Police force under his purview just three months ago, the President has ambitious plans to transform the police into a formidable force in the country. However, he said that the job of a policeman is no easy task as they spend hours on the streets in the scorching heat and during other adverse weather conditions risking their own health, adding that this dedication to their service should be appreciated. It’s been only three months since I took over the Police force. We need to appreciate their commitment. He said the police officers hardly get a fitting salary for the arduous work they perform. Therefore, he said the Police force needs to undergo a revolutionary change in order to make it a more efficient institution. “There were 30 police stations which did not even have a single vehicle. Therefore I immediately took measures to provide them 30 vehicles. We should all look at the police force in a more positive way. Today the whole country is supportive of our drive against drugs. Hence, we will tighten the laws and make the punishments for drug related offenses more severe,” the President noted.